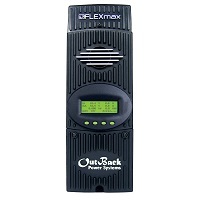 Use this small DC disconnect, which includes the inverter breaker, to provide overcurrent protection for any single inverter. 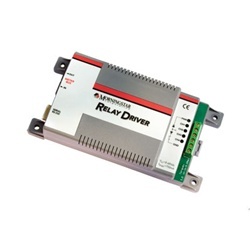 The MNDC comes with a DIN rail for 5 additional DC breakers for DC loads, charge controller disconnect, battery status monitor feed etc. included is a ground bus, 5/16"bonding battery minus stud. Mounting holes for a 500 amp shunt are built in.. The white powder-coated aluminum chassis measures 10" X 5" X 18" and weighs 7 pounds. Three main breakers sizes are available. Left side main breaker placement is available on special order. The MNDC Plus version of the popular MNDC adds another DIN rail allowing up to ten DIN rail mount breakers. Two DIN rail cover plates and two panel mount plates are included. 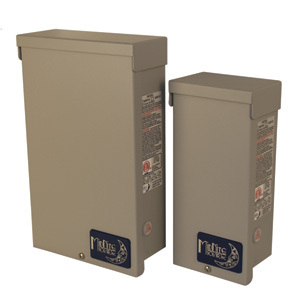 The panel mount plates allow for mounting the ¾" 125VDC breakers that range from 60 amps to 100 amps. 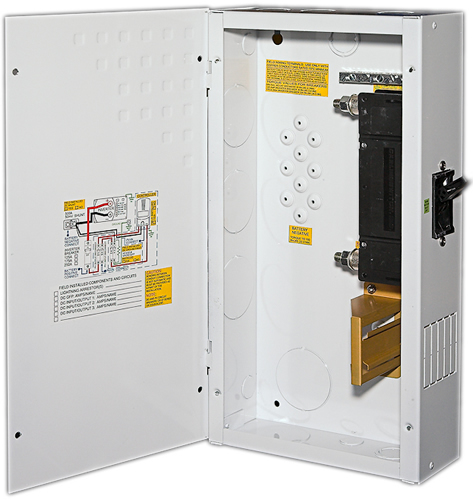 You can also fit the MNDC-GFP80 plus four more panel mount breakers in the enclosure. Another configuration would be one MNDC-GFP, one ¾" panel mount breaker and five DIN rail breakers as well as the large 125-250A inverter breaker. 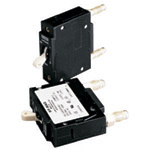 Mounting is provided for a 500 amp shunt and a MNTBB-R terminal busbar. Battery negative stud is included as well as a ground busbar.